If you’re from the Denver, Colorado, area and owe the IRS money on your personal taxes, you can consider setting up a payment plan or installment agreement that allows you to pay your debt over time. The IRS has recently relaxed the terms and made it easier for you to qualify for a payment plan that fits your budget. 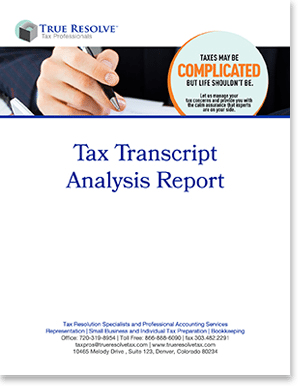 My wife and I owed a large amount of taxes and were not sure what to do. We had worked with Amanda several years ago when she worked with another company, and my wife was able to track her down again. Amanda has now been working with us for almost 7 years at this point, and is always there when we call her needing to make an adjustment with our payment plan with the IRS. She helps us make sure we are not falling behind again also which is a blessing for us. I cannot say enough how much I appreciate the whole team at True Resolve. I was not sure where to turn after being ripped off by several companies. Needless to say I was hesitant to hire them but they assured me that they would be the last company I had to hire and they were. The IRS guy that was assigned to my case was very rude and pushy and I was grateful to not have to speak to him. It took a few months because the IRS guy kept telling me I could pay a large payment plan that was not realistic. True Resolve went in and pointed out where he was doing things wrong and got me into a non-collectible status. I now can focus on paying off other debts without worrying about the IRS cleaning out my bank account, and then start paying them once my car is paid off. I was so glad I hired them. My payment plan that True Resolve set up is affordable which I did not ever think was going to happen. They also helped me to correct my taxes coming out of my paycheck so I won’t owe any more. Great people to work with. The first agreement option is for taxpayers who owe less than $25,000.00 in assessed taxes. These taxpayers are able to set up a payment plan that pays the amount owed, including penalties and interest, within a timeframe of no more than 72 months.Payments on this agreement can be submitted made by mailing in a check, making online payments or setting up a direct debit from your bank account or a payroll deduction through your employer. There are benefits to setting up a payment as a direct debit, especially if you can make a payment that will pay the amount you owe off in 60 months or fewer. The second streamlined agreement is for taxpayers who owe more than $25,000.00 but less than $50,000.00 in assessed taxes. These taxpayers are also able to set up a payment plan that pays the full amount owed, including penalties and interest within a timeframe of 72 months or fewer.Payments on this type of agreement are required to be made either via a direct debit from your bank account or as a payroll deduction. Mailing in checks or paying online is not an option with this type of agreement. Ready see where you qualify? Taxpayers who cannot pay off their debt within the 72-month timeframe may qualify for a full pay agreement. This agreement allows you to pay off your taxes within the collection period allowed by law (10 years) via pre-determined monthly payments to the IRS. In some cases, you may be required to submit documentation to substantiate your income and expenses and to determine your payment amount. A partial pay agreement requires you to submit complete financial information and documentation of income and expenses to the IRS to determine what you can afford to pay each month. The IRS will review your payment every two years to determine if they can increase. A staggered payment plan, also called a tiered agreement, allows a taxpayer to pay one amount to the IRS for a predetermined time and then increase the payment amount according to the terms of the agreement. For instance, you may be able to increase your payments to the IRS once you have paid off a car after 18 months. Or you may be asked by the IRS to lower the payments on another debt within a certain timeframe to pay off your taxes quicker. 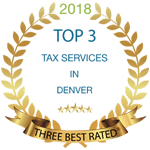 At True Resolve, our Denver-based tax experts will review the payment options available to you, determining which one best fits your budget and your situation. We negotiate directly with the IRS to ensure the best outcome possible. Contact us today to discuss a plan to pay off your taxes and secure your financial future.